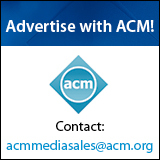 Welcome to the April 17, 2019 edition of ACM TechNews, providing timely information for IT professionals three times a week. 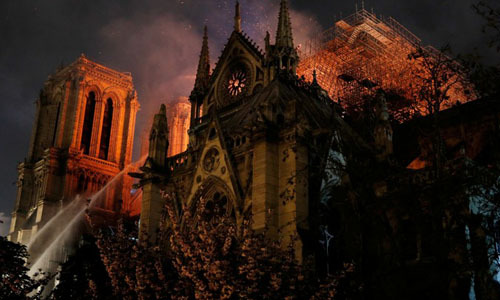 The work of Vassar College's Andrew Tallon could help restore Paris' fire-damaged Notre-Dame Cathedral, thanks to detailed scans he and Columbia University's Paul Blaer took of the landmark in 2010. Tallon and Blaer used a Leica ScanStation C10 to laser-scan the building over five days, and also captured high-resolution panoramic photos to map onto three-dimensional (3D) forms that the laser scanner could generate. 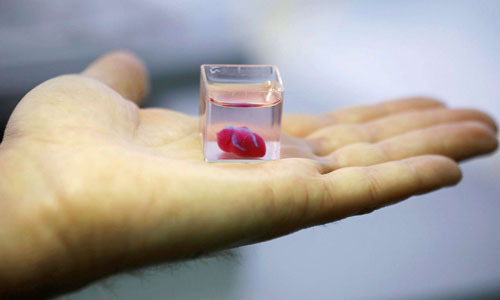 The accumulated information consists of 1 billion data points, structured as "point clouds," which software can render into images of the 3D space. A full digital reproduction can be created by stitching these images together and mapping the photos onto the precise 3D models. The Massachusetts Institute of Technology's John Ochsendorf said the data collected by Tallon and Blaer is "essential for capturing [the structure] as built geometry." The U.S. Congress is investigating the use of advanced technology to track consumers around brick-and-mortar retailers. For example, cosmetics chain Sephora uses electronic Bluetooth beacons to detect customers' smartphones as they enter stores, so they can ping shoppers with promotions while they browse. Meanwhile, facial recognition products are being promoted to retailers as a way to spot previous shoplifters, or customers who have sought refunds for stolen items. Privacy proponents argue in-store tracking systems are as susceptible to abuse as their online counterparts, and the American Civil Liberties Union's Jay Stanley said, "We're going to need all the same protections offline that we do online." Joseph Jerome with the Center for Democracy and Technology said the marketing of facial recognition systems to monitor customers or employees makes it increasingly likely that unregulated data-sharing cooperatives would emerge among retailers, along with accuracy concerns and the risk of unfair blacklisting. The U.S. construction industry aims to restore its workforce amid retirements and declining interest in the profession, by attracting younger replacements who grew up playing PC games. Some construction firms, unions, and schools are using simulators that replicate jobs done by heavy equipment to help attract new recruits. 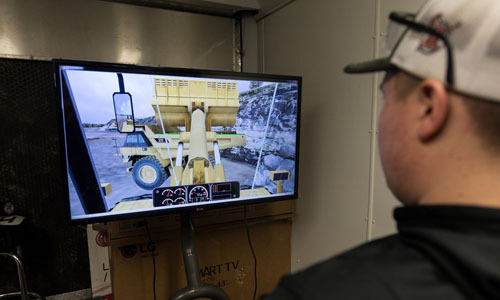 For example, the Nevada chapter of Associated General Contractors installed loader and excavator simulators at its headquarters last fall, consisting of a mechanical chair, a seatbelt, pedals, screens, and other controls that real-life workers would use in the actual conveyance. The excavator also can be used with an Oculus Rift virtual reality headset, which produces a 360-degree outdoor canvas. Simulators are designed to engage multiple senses, with most featuring real controls in the proper locations to help users develop muscle memory. Google has opened an artificial intelligence (AI) research laboratory in Ghana, the first of its kind in Africa. The lab, located in the capital city of Accra, will address economic, political, and environmental issues. Google has similar research centers in cities around the world, including Tokyo, Zurich, New York, and Paris. The new lab will use AI to develop solutions in healthcare, education, and agriculture. In addition, Google is working with universities and start-ups in Ghana, Nigeria, Kenya, and South Africa to enhance AI development regionally. Said Moustapha Cisse, Google's head of AI Accra, "Africa has many challenges where the use of AI could be beneficial, sometimes even more than in other places." Supercomputers at the Texas Advanced Computing Center (TACC) at the University of Texas at Austin made vital contributions to the first-ever image of a black hole, in the galaxy M87. Those systems helped lay the groundwork for black hole imaging, and provided the theoretical foundation that allowed scientists to read the mass, underlying structure, and orientations of the black hole and its environment. Using data collected by the Event Horizon Telescope (EHT), a global network of radio telescopes, research teams employed TACC's Stampede1 and Stampede2 supercomputers to three-dimensionally simulate the physical properties of M87, and predict observational features of the black hole. Further models rendered the dynamics of the phenomenon into an image of how it would appear from Earth, using ray-tracing methods. Another team used TACC's Jetstream cloud environment to develop cloud-based data analysis pipelines, used to combine massive EHT data troves, and to share the data worldwide. The advent of technologies that let businesses track, overhear, and monitor employees on company time is raising issues about corporate surveillance. Gartner estimated last year that 22% of organizations worldwide in various sectors use employee-movement data, 17% track work-computer-usage data, and 16% access Microsoft Outlook or other calendar-usage data. 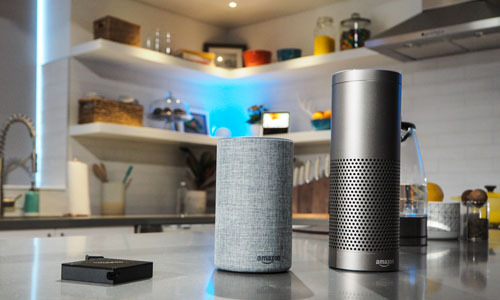 Products of interest include Amazon's recently patented ultrasonic bracelet, which can localize warehouse employees and monitor their interaction with inventory bins via sound pulses. Meanwhile, last year Walmart patented a system for eavesdropping on workers and customers, which tracks employee "performance metrics" to ensure employees are on the job by listening for certain noises. Some makers of monitoring technologies are developing deployment guidelines to allay employer and employee privacy concerns, but advocates fear worker privacy could be compromised without appropriate regulation. 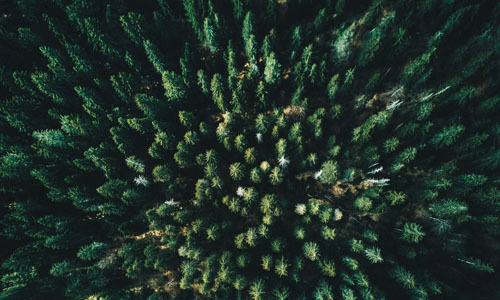 Matthew Parkan, a researcher at Ecole Polytechnique Fédérale de Lausanne (EPFL) in Switzerland, developed algorithms capable of automatically determining inventory parameters of trees over large areas. These algorithms can be used to create a detailed map of an area in preparation for tree marking (prior to cutting), to closely monitor the development of individual trees, and to identify habitats most suited to certain animal species. Parkan calibrated the algorithms using a reference dataset of more than 5,000 trees taken from a three-dimensional point cloud. For this, he created a digital forestry toolbox to facilitate the manual extraction of trees and the visual identification of tree species. This allowed Parkan to verify the algorithms could reliably detect the location and shape of trees, and to calibrate the classification models for nine tree species. Said Parkan, "My aim was to develop methods and tools that can supplement on-the-ground inventories, rather than replace them." Massachusetts Institute of Technology (MIT) researchers developed a method to compress "objects" in memory, making more memory available so computers can run faster and perform more tasks concurrently. MIT's Po-An Tsai said, "The motivation was trying to come up with a new memory hierarchy that could do object-based compression, instead of cache-line compression, because that's how most modern programming languages manage data." The Hotpads system stores entire objects, closely packed into hierarchical levels, or "pads"; these levels exist wholly on efficient, on-chip, directly addressed memories, with no sophisticated searches needed. The researchers' "Zippads" technique compresses objects via the Hotpads architecture by evicting them to slower levels, after which pointers in all objects across levels point to those compressed objects, making their recall to faster levels easier, enabling more compact storage. A compression algorithm then efficiently exploits redundancy across objects. Princeton University researchers have built an open source Web app that allows homeowners to monitor their smart home devices. The IoT Inspector is designed to help consumers analyze the network traffic of their Internet-connected appliances, mainly to determine whether those devices are sharing their information with third parties. The researchers said the IoT Inspector requires no special hardware or a complex setup, making it easy for consumers to deploy smart home monitoring. The team acknowledged it hopes to use data collected by the app to advance Internet of Things (IoT) research, including insights into privacy, security, and network performance risks of IoT devices. The researchers said the app can track the Internet activities of as many as 50 devices on a network. Researchers at the University of California, Berkeley (UC Berkeley) and Google Brain have developed a robotic system that can figure out at least the first principles of tool use, through a combination of experimentation and observation. The system is made up of an off-the-shelf robot arm that can be controlled by a person or a computer, a camera that sees the environment within reach of the arm, and a neural network that lets the robot learn. The robot was able to learn how to use simple tools, including a dustpan, broom, and duster, to move other objects around. The project demonstrates how robots might someday be able to learn to perform sophisticated manipulations, and to solve abstract problems for themselves. Amazon is allocating $10,000 grants to 25 schools in the Washington, D.C., area to expand computer science (CS) opportunities, as well as to establish robotics clubs in low-income and underserved communities. The Amazon Future Engineer Robotics Grant pays the costs of registration to start a robotics club with FIRST, an organization committed to boosting science, technology, engineering, and math (STEM) education, and to hosting robotics competitions. The individual schools can decide how best to spend the funds earmarked for CS education. Christina Lytle, mentor to a robotics team at an Alexandria high school, said, "You don't want to have barriers for kids to participate in activities. All of our schools and all of our kids should have access to these kinds of programs." The International Space Education Institute of Leipzig, Germany won first place in the high school division, and the University of Puerto Rico Mayagüez-Team 1 won the college/university division, of the National Aeronautics and Space Administration (NASA) 2019 Human Exploration Rover Challenge, held last week at the U.S. Space & Rocket Center in Huntsville, AL. The competition challenged high school and college teams to design, build, and test human-powered roving vehicles inspired by the Apollo lunar missions and future explorations missions to outer space. After constructing their rovers, teams attempted to traverse a three-quarter-mile course with obstacles that simulate terrain found on other worlds. In addition, the rovers had to complete tasks such as sample collection and instrument deployment, and were awarded points based on the successful navigation of obstacles and completion of tasks.